Jo Black definitely made it worth the wait - watch the performance below. Jo Black performs a Bruce Sprinsteen hit on #FridayLive / Jacaranda FM. The beard might be shorter but his voice is still pure gold. After Jo Black's successfully executed operation Jo canceled more than 25 shows to focus on his recovery. Jo was initially scheduled for a major neck operation at the end of September, but following the advice of medical specialists, the operation was moved up. Fast forward two months and the 'Skepe' hitmaker is back at making music, and he joined Breakfast with Martin Bester for a special performance of Bruce Springsteen's I'm on Fire. This performance will give you goosebumps. 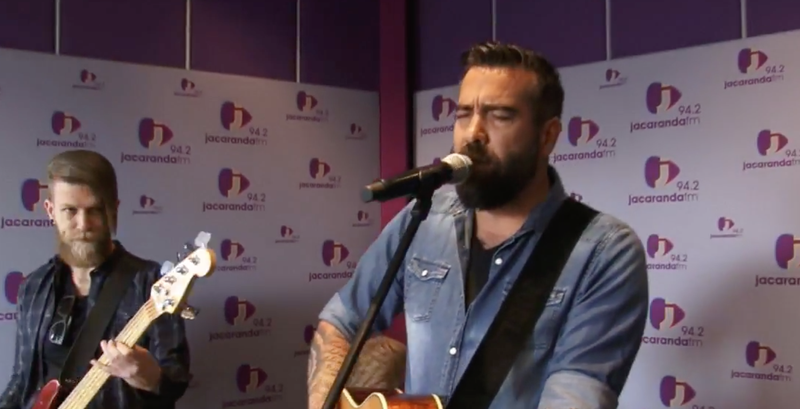 Jo Black surprised us all with a second performance of his chart-topping hit, 'Een Klein Klippie'.